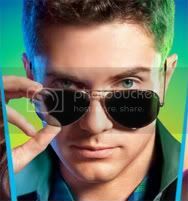 Matt (Topher Grace), an MIT grad, walks out on his “big money” job at a local lab to take a job as a video clerk. Matt has no idea where he is in his life or what he wants to do. Along with that, his best bud Barry (Dan Fogler) just got fired from his job, and his sister Wendy (Anna Faris) gets a proposal from her boyfriend Kyle (Faris’ real-life hubby, Chris Pratt of “Parks and Recreation”), who Matt hates. And then one day, Tori (Teresa Palmer), the most popular girl from Matt’s high school, walks into the video store. Matt decides to try to create a new identity to win her over at a blow-out bash over Labor Day weekend. I like the theme of Matt wrestling with what he wants to do with his life (don’t most 22-year-olds? ), but I have a feeling “Take Me Home Tonight” will either be a cheesy guilty pleasure flick or a horrible, horrible trip back to a decade where leg warmers and fingerless gloves were “tubular.” But one thing’s for sure: we know the soundtrack will be awesome! Dig out your parachute pants and your jelly shoes — “Take Me Home Tonight” hits theaters on March 4, 2011. I’m sure I will check this out. It kind of looks fun.